Nebraska State Patrol troopers say they found 180 pounds of marijuana in a Nissan Rogue stopped along Interstate 80 near Lincoln after a police dog indicated the smell of drugs. 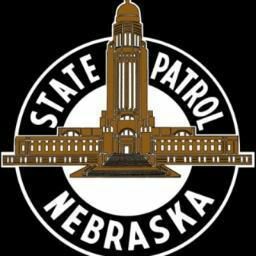 Nebraska State Patrol troopers seized nearly 400 pounds of marijuana in two traffic stops on Interstate 80 on Monday. The first happened at about 11:45 a.m., after a trooper stopped a Nissan Rogue driving on the shoulder of I-80 just west of Lincoln. Spokesman Cody Thomas said a State Patrol police dog indicated the smell of drugs coming from the SUV, and a search turned up 180 pounds of marijuana. Troopers arrested the driver, 50-year-old Richard Huckaba Jr., of Kenner, Louisiana, who has been charged with possession of marijuana with intent to deliver. The second stop happened at about 2 p.m., near the Utica exit, when a Chevrolet Silverado failed to signal on the exit ramp. During that stop, another police dog indicated the smell of drugs coming from the pickup. Troopers found 219 pounds of marijuana in the covered bed, Thomas said. Troopers arrested the driver, 60-year-old Rebecca Jayne of Selma, Oregon, on suspicion of possession of marijuana with intent to deliver. She hadn't been charged as of Tuesday afternoon.